The term “literary classic” might make some people shudder, thinking it’s all stuffy and boring, and something you have to read with a stiff upper lip and your pinky out. That is certainly not the case for a lot of literary classics, and it is definitely not the case when it comes to the works of Edgar Allan Poe. Poe was a true master and innovator of the short story genre, and a master of horror as well: his stories are often deeply disturbing and unsettling in a way that gives me serious goosebumps whenever I read them. If you have any interest at all in horror stories, or dark tales of mystery, crime, and guilt, then reading Poe is a must. He can be gruesome and macabre, and his work is permeated with themes like fear, guilt, death, horror, and inescapable doom. But what makes him so very, very good is that he twists these themes just a little further than most, driving them just a little deeper into your subconscious, and that he isn’t afraid of making his stories, and his characters, go more than a little insane. All of Edgar Allan Poe’s work is well worth sampling, but two of my favourite short stories by Poe are ‘The Tell Tale Heart’ and ‘The Black Cat’. Both stories are told in first-person by characters who are haunted (quite literally) by crimes they have committed, and who are losing their minds because of it. These stories vividly demonstrate Poe’s ability to creep inside a story, flipping the perspective to show you the horror from the other side, from the dark side – the guilty side – and dragging the reader with him into that madness and darkness. An excerpt from ‘The Tell-Tale Heart’. 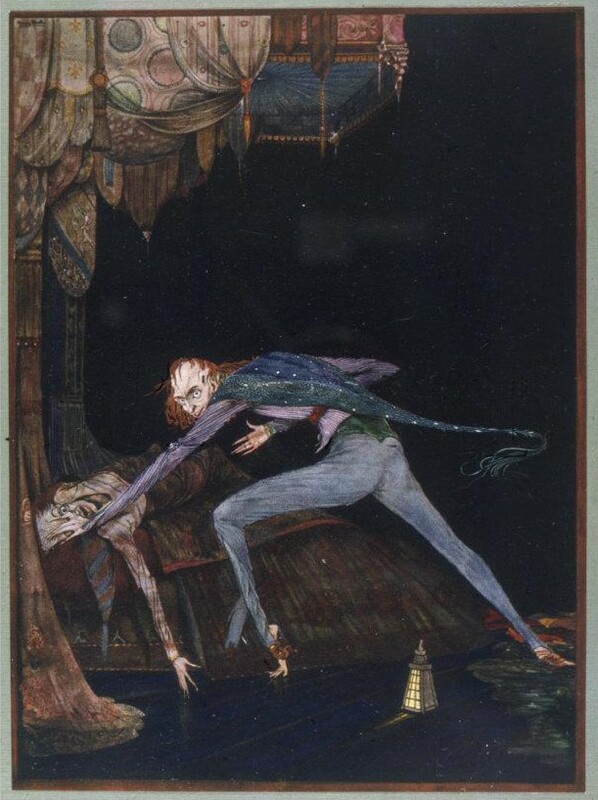 Two other outstanding short stories by Poe that I’d recommend are ‘The Murders in the Rue Morgue’, often called the first modern detective story; and ‘The Fall of the House of Usher’, a chilling tale that is an early example of a psychological thriller. Poe’s life was not easy or necessarily very happy. He was orphaned as a young child, was eventually disowned by his foster father, and struggled with debts throughout his life. At 26 he married his 13 year old (!) cousin Virginia Clemm – a marriage that was followed by more tragedy when she contracted tuberculosis and died at the age of 24. And Poe’s death in 1849 is still considered so mysterious that it even has its own Wikipedia entry. As a reader, I love reading Poe for the shivers up my spine. As a writer I love his technique and style: there are so many good reasons why his tales have become classics. 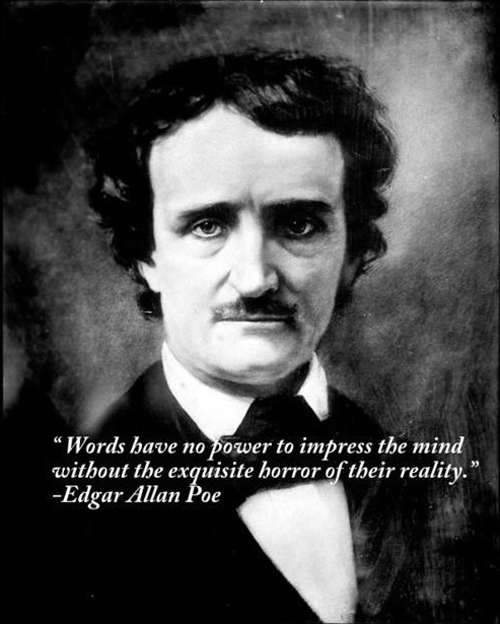 Edgar Allan Poe was only 40 years old when he died, but his work has been very influential. 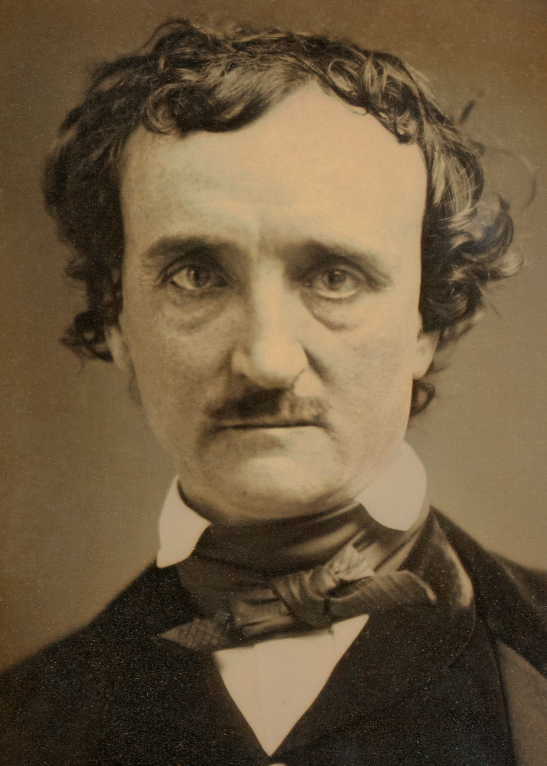 Many later writers – including such varied names as Ray Bradbury, Agatha Christie, Franz Kafka, Fyodor Dostoevsky, and Stephen King – have been inspired by and influenced by Poe. 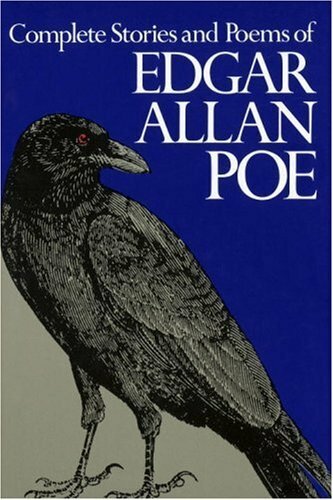 There are many editions and collections of Poe’s work available, and if you have an e-reader you can pick them up dirt-cheap (or even free!) online.